Over the last month we’ve analyzed the social media use of the biggest tech startups. We looked at one hundred billion dollar companies (so called ‘Unicorns’) and collected data on how they use social media. Even if you are not familiar with the startup world some Unicorns have integrated themselves into our culture, like Uber, Pinterest and Airbnb. Why did we focus on unicorns? They have proved that they can build a big company and attract a large following. After researching every part of their social media habits we were able to find a few lessons that almost every business can implement. Because the topics varied so much we decided to break them down into individual articles! Here’s is the first lesson of many. Instagram is especially useful for companies like Blue Apron or Warby Parker which have an abundance of content to post from their various products. Like trendy glasses, delicious food or exotic locations you might aspire to visit. But most of the Unicorns are not physical product companies. Their “products” are services or apps that are difficult to show off on Instagram. The major demographic of Instagram, teens and millennials, do not care about B2B product dashboards or app screenshots. So instead of showing them your virtual product, you must sell them on your brand or company culture. Show the people of Instagram how amazing your office is or users generated content showing them using your product. In short, make it about people. Evernote with 30k followers uses their account to show off their office to about 400 interactions per photo. 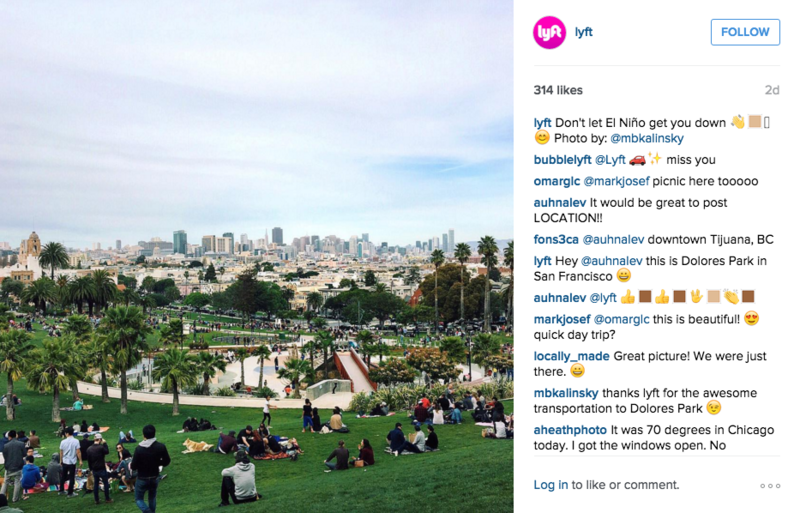 And Lyft with 27.7k followers features mostly cityscapes they drive in for an average of 300 interactions per photo. 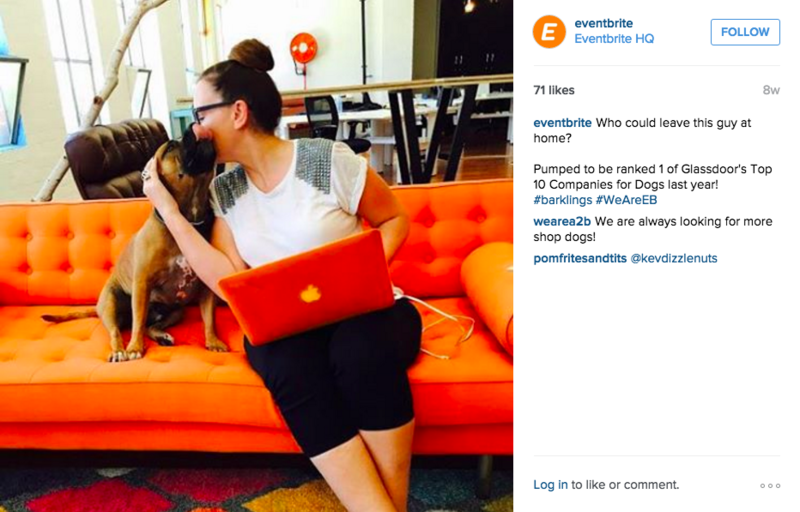 Eventbrite, with a respectable 7k followers, posts mainly pictures of their office or employees to about 75 interactions. But by far our favorite example is Hootsuite, which has been all dog pictures lately. They were able to leverage man's best friend to 21k followers and upwards of 200 interactions per post. This was all compared to the average of 7.8k for the non-physical product based Unicorns. Those may not be the high numbers that some physical product based companies have, but it is still impressive! We also found that 35 out of the 57 Unicorns on Instagram used it to mainly show off behind the scenes photos of their office, team members or photos from everyday work. So for the many app developers of the world, to succeed on Instagram you need to make it about the people. Or about the culture you stand for. No longer can you scrape by with app screenshots or mockups. Embrace the change and your company will be better off in the long run.